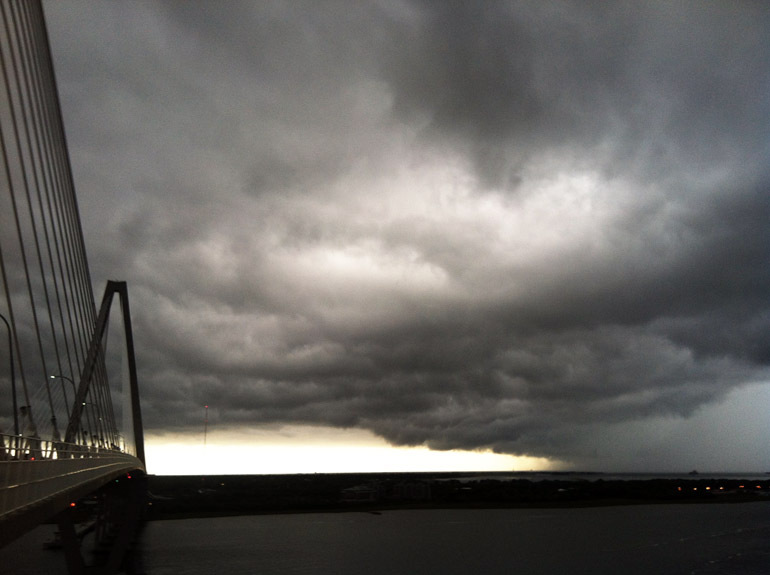 It figures that Charleston would get a nice rainstorm/weakened thunderstorm within the first week of the vehicle burglary that left me without the cameras and lenses I've worked so hard to collect. Instead, I used my iPhone. 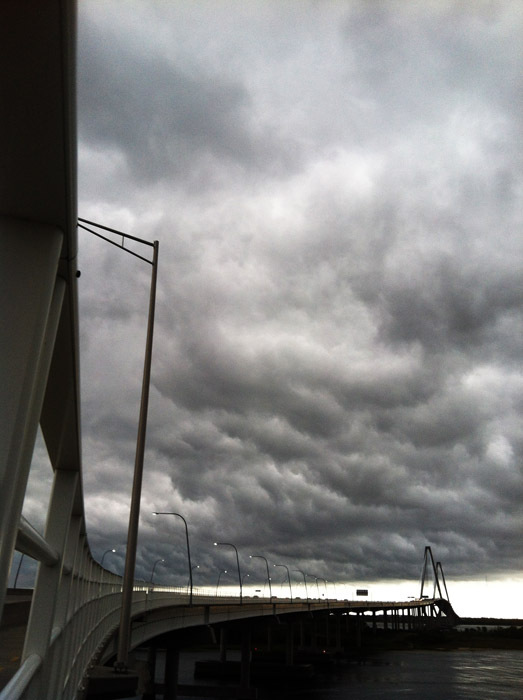 Above, a shot of the Arthur Ravenel Jr. Bridge in front of the storm's "whale's mouth." 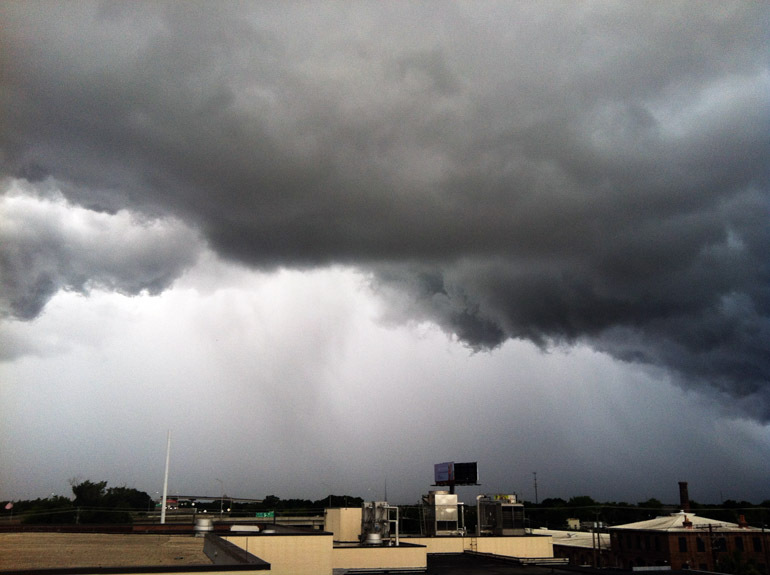 This was shot from the rooftop of The Post and Courier as the storm approached. It was part of a line that produced some tornado warnings in Orangeburg County, which is north of the Charleston area. By the time it reached the coastline, it had significantly weakened, though. 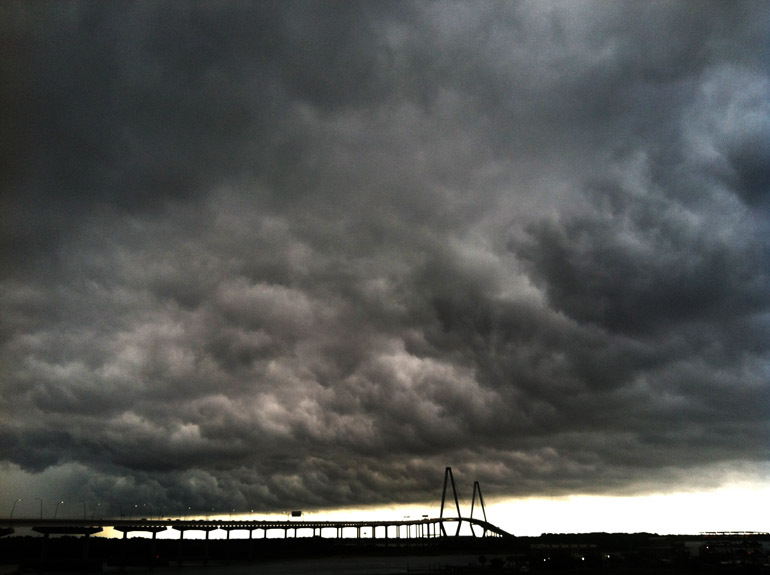 I got out of work and went to the Ravenel Bridge, which is where I run several times a week. I grabbed my work-issued iPhone, which has a waterproof case, and started running up. 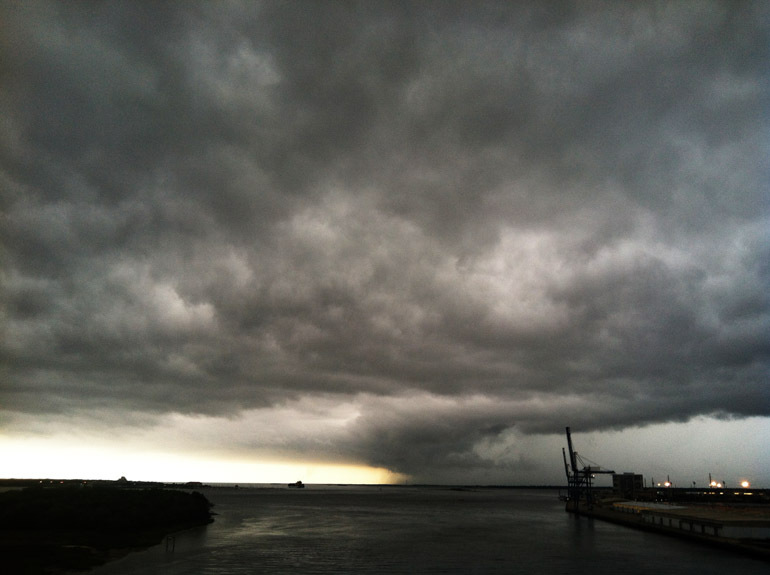 I looked toward the ocean and saw a core of rainfall off to the southeast. A cargo ship on the horizon was preparing to head into it. I reached the top of the bridge just as I started feeling a few drops. Rain began enveloping me as the storm clouds came in from the north, the west and the south. I got soaked. It was kind of cool. But I still miss my cameras.